The Earl of Shrewsbury and Adolphe Clement were the joint founders of the company that held their names; Clement Talbot Ltd. The Earl was unlike any other founder of a British motor car manufacturing company and this is what makes him such an interesting character. just two months before the foundation of Clement Talbot Ltd.
Born in 1860, he inherited the title when he was only 16. At 19 he eloped with an older married woman and then left the country with her and her brothers who had skipped bail on a charge of attempted murder. His son and heir was born only three months after their marriage. 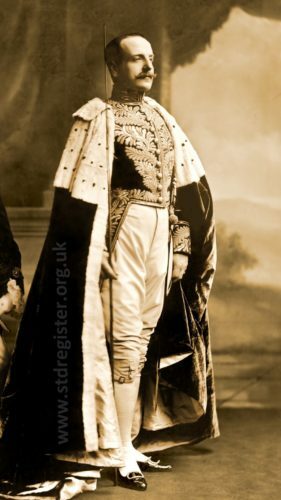 As the premier Earl of England and Wales he was a major landowner, pillar of society and very much one of the hunting and shooting fraternity but this scandal affected his standing in society, along with the fact that the Earl was in trade before this was really accepted by the titled classes. Business was in his character; dynamic, ruthless, forceful, adventurous, but other reasons for the extent of his trading activities involved the need for money to maintain his estates. When he inherited, the country was in the grip of an agricultural depression that must have adversely affected his income. At the age of 23 he started his own hansom cab business and in two years had 450 cabs in London and in Paris. 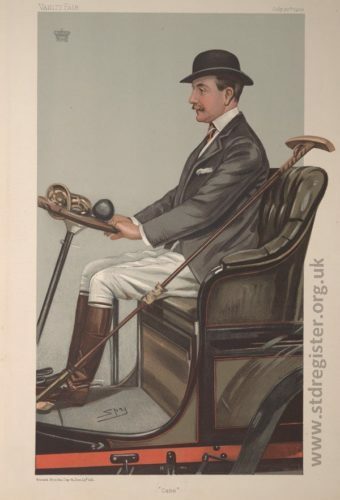 His ‘Shrewsbury and Talbots’ were the epitome of luxury and dignity in the quality of the furnishing, demeanour of the coachmen and the health and quality of the horses. His cabs had rubber tyres for comfort and silence and the horses had rubber shoes for their safety. These rubber fittings came from another of his companies; the Shrewsbury and Challinor Rubber Company. Among other companies in which he was involved were Greyhound Coaches that ran stage coaches in the 1890s, Rothschild Pere et Fils, coachbuilders in Paris and London and Maison Talbot that manufactured and distributed wheels, tyres and fittings for coaches and had offices in London, Paris, Nice, Brussels and Milan. He seems to have had problems with several of these companies which did not bring the financial rewards he expected. The E of S & T depicted in a ‘Spy’ cartoon in July 1903. The title of the cartoon is ‘Cabs’ and shows him in horse riding attire while driving a motor car which highlights his double life. His companies emphasise the international nature of the Earl’s life and leads us to his formation of Clement Talbot Ltd. The Earl was as much at home in Paris or London but Parisians had a different culture to the British. They welcomed innovation and the latest technology and therefore welcomed the advent of the motor car, whereas the British nobility saw it as a threat to the horse. From 1895 the French produced more cars than the whole of the rest of Europe and at the turn of the century a quarter of French production was being exported to Britain. The Earl saw the profits being made and was determined to capitalise on this by building the first purpose built car factory in Britain with the latest machinery and technology to produce a state of the art British motor car. He already owned The British Automobile Commercial Syndicate which imported some of the best French cars including those made by Adolphe Clement. The Earl of Shrewsbury and Talbot combined his financial capital with Clement’s manufacturing expertise and together they formed Clement Talbot Ltd in October 1902. 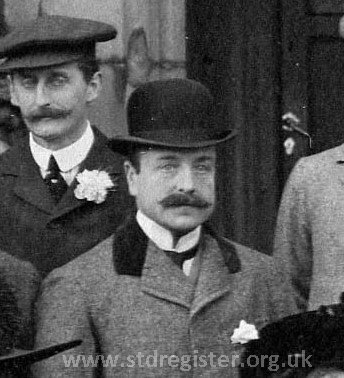 The Earl of Shrewsbury and Talbot in November 1907 during the visit of King Edward VII to his estate at Ingestre. As with most of his business ventures, the Earl was very much the Chairman rather than the person with the technical expertise to run the company. At Clement Talbot his, and Clement’s, choice of managers was not a success at first and the lack of financial success of the company in its early years suggests that they did not pay enough attention to detail. The cars were a great success as were their victories in trails and rallies around the Empire but there were no dividends to shareholders. It was not until 1908 to 1914 that an efficient general manager brought the profits for which the company had been started and ‘Invincible Talbot’ cars reached the peak of their success. 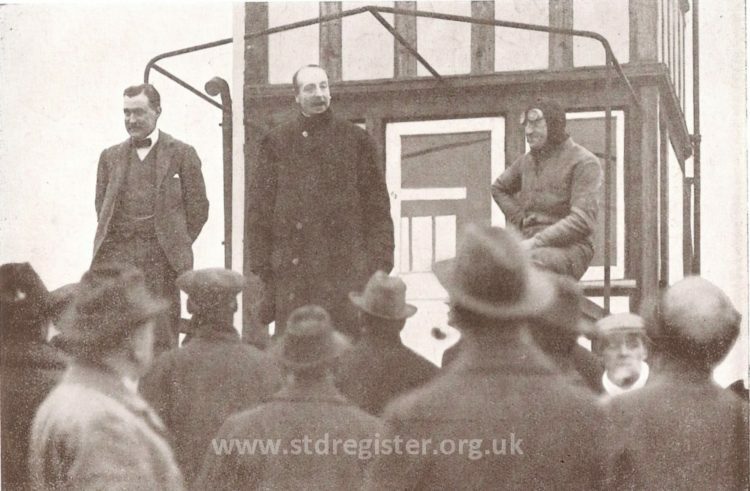 The Earl (centre) congratulates Percy Lambert (right) who was the first man to travel 100 miles in one hour. The world record was achieved on a Talbot car in October 1913 and was Talbot’s greatest achievement of this period. At this time, despite his several other business ventures, Clement Talbot seems to have been the Earl’s main interest until the war. But in January 1915 the Earl’s only son died of pneumonia while training horses on Salisbury plain, leaving a son and heir only few weeks old. This was a shattering loss as he had been close to his son, both personally and in business. With this loss, the Earl’s declining health and the obvious change in circumstances in the motor industry and at his factory, the Earl seems to have paid little attention to his company from then on. Clement Talbot Ltd drifted according to circumstances and was one of the few motor companies that did not take advantage of war contracts and opportunities to come out of the war better than when it went in. The Earl had separated from his wife as early as 1895, unusually she having custody of the children while they were young. She resided at Alton Towers, one of his major estates and he at Ingestre and their relationship continued an unhappy and litigious one. In his later and declining years the Earl got comfort from a long term mistress for whom he bought a house on the Thames. At the end of the war the Earl had little or no interest in Clement Talbot and clearly was not capable or interested in reinvigorating the company in the difficult economic times that followed. He sold the company in October 1919. It would be nice to think he was astute enough to sell in the middle of a short term post war boom but it is more likely he sold when he could find a buyer. The buyer, in fact, did not see Clement Talbot as a going concern but bought the company for its land, buildings and machinery which was suitable for the reconditioning of ex-military vehicles. The Earl of Shrewsbury and Talbot died within eighteen months, at the young age of 60 and when his heir was only seven. He left a large part of his estate to his mistress and this was successfully challenged by representatives of his grandson. Despite his many business ventures he probably died disappointed with his life in which he had struggled to combine maintaining his family position as premier Earl with his personal business ambitions.